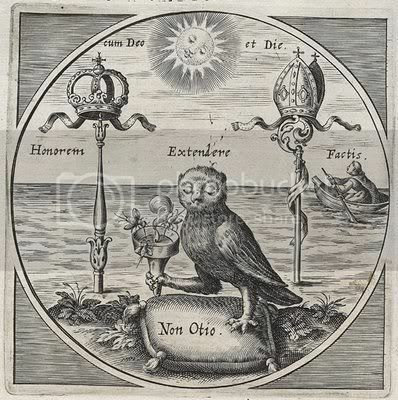 The "Owl" as a Symbol of the Occult has varied and nuanced layers of deconstructions. Aside from the mythological connections of the Owl to Athena and Ishtar, "goddesses" that directly link back to Isis, the Owl also contains observable natural properties that signify an ability to see in the dark (read Setianist ignorant world). Of course, we cannot exclude a Qaballistic construction to the very word "OWL". These podcasts provide a uniquely Isisian Code view of the Owl as a Symbol of the Occult and give a glimpse into the way in which Hermetic Qaballa is used in the construction of words as Occult constructs. Hope you enjoy these shows. They will also be found as companion links in the most widely read article at The Illuminatus Observor, "The Owl as a Symbol of the Occult". As always - thanks for the continued support and to your linking of the blog in forums and websites all across the World Wide Web. Your efforts greatly help spread the word and contribute to the growth of the Illuminatus Observor as simply one of the best Hermetic Qaballa blogs in all of blogdom. One of my best teachers was a Grand Master of the Dong Han system of Taoist medicine. This guy was what I call "a trick person". Using Taoist Metaphysics he had crafted an herbal energetical formula that could rid a body of arthritis. Now that is trick. I asked him, "How precisely do you do that?" He went on to explain something to the effect that the Universe was comprised of energy and that all things held an energetical value defined in terms of Taoist alchemy and the 5 elements of "wood", "fire", "earth", "metal", and "water" and their equivalent delineations. Disease was the blockage of energy in the body. All disease held an energetical value also and through crafting formulas that mirrored identically the disease in its exact opposite, the blockage was canceled out. With the blockage removed, the body simply healed itself. The idea that the disease held one value and the cure an exact mirror opposite value finds its Hermetic Qaballist expression in a term coined by 16th century philosopher Nicolas of Cusa known as "coincidentia oppositorum". There are 3 layers of human acquisition of knowledge: 1) Knowledge acquired through one's senses, 2) Knowledge acquired through "reason and logic", and 3) Knowledge acquired through use of the Intellect. "The principle of contradiction, the basis of Aristotelian Scholastic logic, is good within the limits of reason, but it gives us an improper knowledge of reality. "We arrive at the knowledge of the reality (God), and hence of unity and the infinite, only by means of a third activity of the spirit, the faculty of intellect, which is supra-rational understanding, mystical intuition. This faculty, overcoming all differences and multiplicity, presents the reality (God) as perfect unity, in which all differences are reconciled in the infinite life, the "coincidence of opposites." The principle of coincidence is for Nicholas of Cusa a new one on which logic must be based in order to arrive at the knowledge of reality. "Hence the title of Nicholas' work De Docta ignorantia, which indicates the limitation of human understanding (reason) as opposed to the knowledge of God that is free of all such limitation (supra-rational)." Hence Nicolas of Cusa's work entitled "De docta ignorantia" (On Scientific Ignorance) hinted at the limits of Aristotelian Scholastic logic as such pertained to the acquisition of a knowledge and comprehension of Reality, especially as this term is used from an Occult perspective. Without the use of the Intellect, or the spiritual faculties of the soul, the Taoist metaphysicist could have known that disease was but a hyper-dimensional mathematical representation of energy. Through fabrication of an exact mirror opposite of the disease, the Taoist metaphysician revealed a practical application of the "unity of opposites". In a unity of opposites, the thing, and its exact opposite, are but one and the same. From a logical perspective, 2 = -2. This is not possible using Aristotelian logic, but from a Qaballistic point of view, the object and its opposite may be viewed as one and the same, or one object may be connected to its opposite and continually at war with the same said opposite, or "the thing" and its co-instantiated opposite may represent polar opposites of the same said object. In the case of the Taoist metaphysician, we may view the disease and its cure as being one and the same. Each energetical formula (the disease and its cure) have equivalent value when one (the disease) is mirrored against the other (the cure). Each opposite when viewed singularly appears as a separate entity, but when viewed holistically, each is a mathematical expression of the other. 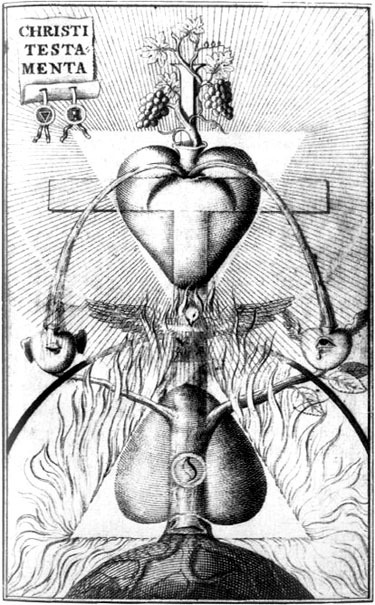 It is through the logical reasoning as hinted at by Nicolas of Cusa that the intellect is able to comprehend the values of the exact mirror opposite of the healing formula, but the energetical opposite remains. Another way to view the Unity of Opposites is to imagine an object co-substantiating. A popular way this is explained is that a road inclined must by necessity be a road that has a decline. Each direction presents uniquely different perspectives and consequences upon the object that travels up or down the road. The incline and the decline are by necessity properties of the former or the latter, however. Within the Unity of Opposites is the rational idea that all things balance themselves out. From a mathematical representation, we may note that -2 = 2 appears to be "not true", but from a Unity of Opposites, we may note the space between O is precisely "2" from one side or the other, so it matters not. Each number is created from the same central number, which is more accurately defined as 0 (as opposed to arguments of "the 1" or unity") as posited by Jewish metaphysics, for each cancels the other out and are truly opposites from the point of nothingness. The expression of -2 = 2 is true when viewed from the center, for a Qaballist views this reality as if within the center of a sphere where time and space have no bearing or influence. We simply not that each number appears on the same plane of the sphere from the center, and so each must be equivalent. "The Tao produced One; One produced Two; Two produced Three; Three produced All things. All things leave behind them the Obscurity (out of which they have come), and go forward to embrace the Brightness (into which they have emerged), while they are harmonised by the Breath of Vacancy." -source. From a Hermetic Qaballa perception, the binary expression is manifest as "the Word", which is Pi. Qaballists view material reality as manifesting or expressing itself through a process of contraction. Take, for instance, a glass of water and sugar. Heat the mixture and then drop in a set of strings. As the water cools, the sugar affixes itself to the string in a crystalline structure. What you have is "rock candy". Now expand this idea to the Universe. The glass of water and sugar may be viewed as the "the Great All". As the water cools, ever more complex series of crystalline structures begin to form. This crystalline structures we may view as the material universe forming through a process of "contraction". This philosophical concept is actually Greek in origin but has found a rich expression in Jewish thinking through their idea of Tzimtzum. From Lurianic Kabballah, we find an apt expression of this idea. "The word Tzimtzum has at least two meanings. The first is an ontological meaning connoting "contraction", "withdrawal", or "condensation." The second is an epistemological meaning, which connotes "concealment" or "occultation". " In the creation of words, one should always be in the lookout for obvious fabrications, especially as they pertain to "sacred nomeclatures". For instance, the "Tzimtzum" deals with the idea of "contraction" and at the same time, "concealment or occultation". Mystification is at the very core of the Occult as an exercise in the comprehension of reality. According to the Milesians (and Taoist) views of reality, all "things" are interconnected to the greater whole. The contraction of the higher essence gives rise to all things, which then become identified through the crafting of words to describe the things, all of which tie back into the idea of "the Logos". "even the posset (kykeon) separates if it is not being stirred." His point is that the continued existence of a certain kind of thing depends on its undergoing continual change and movement. What makes something a posset is not just what it’s made of (not just any collection of wine, barley, and cheese is a posset), but how it behaves, what kind of process it undergoes. In a way, then, the logos for something is rather like a recipe. That is, it is more than a list of ingredients. It includes an account of how they are put together, and how they interact. We may now begin to peer deeper into the "Mystical Craft of Qaballa". A widely held belief is that the ultimate expression of "contraction" is that the Letters represent the ultimate expression of contraction. The Sepher Yetzirah is but one document that highlights this otherwise Occult reality when it states that reality was crafted upon Letters, Numbers, and Sounds. The Sepher Yetzirah is by far not the only document to hint of this reality. The idea is that the ultimate expression of contraction is that the Letters, Numbers, Sounds, and other forms of symbolic expressions as the Zodiac signs that, when properly understood and refomulated, provide one with a path back to "the Great All". Such contraction into language is both a concealment and revelation of the divine essence. The Tzimtzum inaugurates a distinction between language and the world which conceals the singular unity of Ein-sof but reveals an infinite multitude of finite objects and ideas. These notions suggest the intriguing possibility that by undoing the Tzimtzum, i.e. by overcoming the distinctions between words and things and thus language and the world, we can return to the primal unity of Ein-sof, the infinite God. The idea as expressed by Jewish mystics is not in anyway unique to Jewish metaphysics. The primary alphabet upon which this idea may be genuinely expressed and explained is that of the 26 digit Alphabet of English upon which the Philosophy of the Illuminatus is nore accurately and clearly demonstrated. Those who are willing to begin their inquiry into the nature of these Letters will come to a comprehensive appreciation as to the genius of what has been created and for which we may argue why English is a truly a "universal language". It is so precisely because it contains universal expositions of hidden truths that all may come to hear. So you come seeking the inner essence of our Craft? To begin, you must consider that what we have created is a system that is nothing short of a Divine System of Symbolism, a trans-dimensional puzzle and riddle that is all encompassing and yet when viewed independently, does not exist at all. We have inverted reality. To us, we say that 1's are 0's and 0's are 1's. But this is often too ethereal for the mind to comprehend, and so the blind go about calling "demons" "angels" and "angels" "demons". They have not come to understand the principle of reflection. As the clouds move across the sky, they see not that they view the sky as if staring at the sky through a puddle of crystal clear water resting on the ground. We say that the highest ideal of man is a spiritual realm called Asgard, and yet in a system of Divine Symbolism, A's Guard remains the very forms and symbols which blind the mind and yet reveal all the same. 1's are 0's and 0's are 1's. Take, for instance, the Letters. Each Letter represents a comprehensive set of archetypal realities. A is A and yet is so much more. The ideal that is A is fused to a Letter which you call A, and yet it is too fused to a set of sounds and further still to a set of numbers. Through fusing the Craft to Number, inherent truths may be encoded. Through fusing the Craft to Archetypes, inherent truths may be encoded. Through fusing the Craft to sounds, inherent truths may be encoded. How else you would you arrive at Asgard unless there remained a series of structural fabrications on which may test one's hypethesis? How many inherent truths can you find hidden and yet revealed within? O is the Feminine. Does not the O vary? It is the Egg upon which one migrates from one dimension to another, and surely is the medium through which one manifests as a material creature. P is the Masculine. How we laugh when as a child we are taught to "P", and yet the philosophical construction is ne'er ever contemplated. Yet contemplation at a very basic level reveals that precisely this is the inherent construction. Divine Symbolism is incredibly and ingeniously hidden in the Letters. Now let us make a simple formula. Is this not, too, an inherent truth? If we allow for O to be Feminine and we allow for P to be Masculine, and we combine these two, is not the result a Q, or a Fertilized Egg? And if we sing our praised to Q, do we not indeed "Thank Q"? What an ingenious protest in the face of those who would deny Divine Symbolism! Let the ignorant and intolerant chase after their vindictive sky god. 1's are 0's and 0's are 1's. What more can you build on this basic LETTER archetype? Occult Philosophy cannot ignore reality. Reality is what it is. Observation shows that all things are a product of 1's and 0's. Masculine is 1 and Feminine is 0. Why is this important? Because there is an inherent Occult truth. What number precedes the other? Does not O precede the 1? Or does the 1 precede the 0? Those who seek after Occult reality realize that it is the Feminine - the Great Goddess, who preceded the Vindictive Sky god. It is this realization that brings on to a renewed appreciation of Divine Symbolism. Philosophies that make "the Universal God" to be the progenitor of all things are at their base FALSE LIGHT. The 0 preceded the 1. You may bang your head with philosophical arguments to the latter, that the 1 "GOD" created all things, but Divine Symbolism argues otherwise, ever so quietly and ever so forcefully. Of course, you must test your thesis, for our Craft is a Craft of Divine Symbolism. Those who argue that "god" uttered a Word and the world was created cannot escape the reality that the utterance of a "Word" is Speech has its mathematical fusion. And yet we find that ISIS, the "Great Goddess of 10,000 Names", too has a formula. So if the progenitors of the Vindictive Sky god used SPEECH as a means to utter a Word in order to create all things, the we may argue that ISIS = 56 = SPEECH, and so the great Vindictive Sky god, that which puts the Masculine before the Feminine, must by definition of Divine Symbolism to be that of the Great Deceiver, for clear ISIS is SPEECH and SPEECH was used to utter a WORD and therefore ISIS must have preceded the machinations and lies of the Great Vindictive Sky god. Yet our system is everywhere. Do you play golf? What is PAR but to be EQUAL? And what is a full regulation course? 72 holes? Please tell me that you are beginning to see? 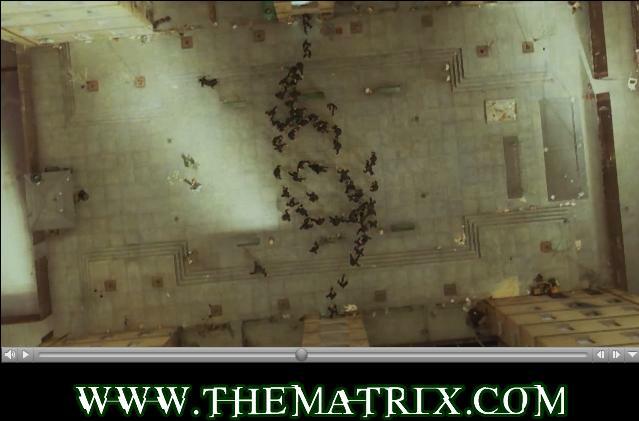 Ants signify people, and thus the "ant" suffix will be used to intimate this aspect of Divine Symbolism. Human social structure mirrors much in the way of the ANT. The ANT. 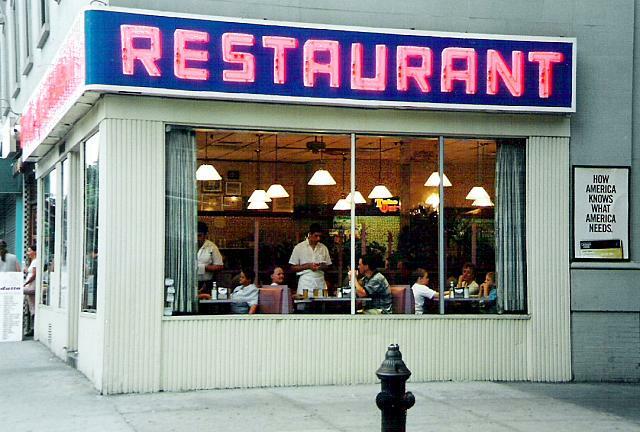 There are the pioneers ants who go out in search of opportunity (food) and once found, report back their findings to the mass of the colony safely ensconced in the cities. With the excited flutter of antennae, the pioneer ants gush of their findings within the pubs and corporate board rooms. More ants come to investigate. Before you know it, the land is filled with ants partaking of the bounty. Gold rushes come to mind. Yet still. Did you see the connection? When one golfs, to score at an equivalent level to the courses design, it is said that one hits "par", and yet in an ant we find the social structure of humanity. A "Par" And and a PAIR ANT places neither above the other. They are equals in the web of life, and yet what of those religions of intolerance that place one before the other? Divine Symbolism reveals the folly and insanity of the philosophical constructions upon which Vindictive Sky god philosophies are based. Then, of course, we can be humored when we invite others to REST OUR ANTS. Do you grasp how Divine Symbolism is sometimes referred to as a Spider's Web? "Language falls. Words are mere cyphers, and who can read the riddle? These words we use, what are they but vain shadows of form and sense? We strive to clothe our highest thought with verbal trappings that our brother may see and understand; and when we would describe a saint he sees a demon; and when we would present a wise man he beholds a fool. “Fie upon you,” he cries; “thou, too, art a fool.” So wisdom drapes her truth with symbolism, and covers her insight with allegory. 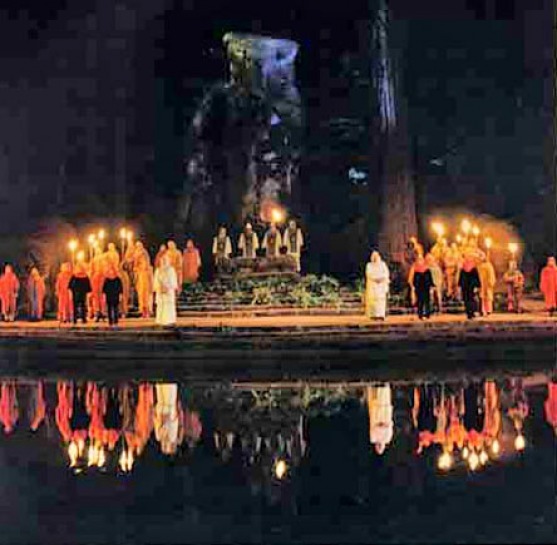 Creeds, rituals, poems are parables and symbols. The ignorant take them literally and build for themselves prison houses of words and with bitter speech and bitterer taunt denounce those who will not join them in the dungeon. Before the rapt vision of the seer, dogma and ceremony, legend and trope dissolve and fade, and he sees behind the fact the truth, behind the symbol the Reality." 1's are 0's and 0's are 1's. When we describe a saint, one sees a demon, and when we describe a wise man, another sees a fool. Words are mere ciphers, but they remain primary expositors of hidden truths, if only one could see the light where one sees only shadows. We may describe a tree as being the vertical and the land upon which it grows the horizontal. The Sun's rays cast a shadow, which then forms a triangle set against the rays of the Sun and the surface of the land. Yet when we describe a 1, we are referring to a 0. The word SHADOW you know to be the area through which the rays of the Sun do not shine, but the very word SHADOW reminds us that we must ADD O (the Sun or a Light source) before we are able to create a SHADOW. SHADOW speaks of the area void of light, yet it accurately describes that which was need to create the area that is now void of light. Those who are able to peer deeper into the Construct understand that it is necessary to peer past the obvious Construction before one is able to find the more hidden meaning held within. If we do not ADD the O, could we create the SHADOW. Do you see how Divine Symbolism as caste against the Letters works? 33 Degree Brother Blight was not just describing a reality of how reality is perceived, he also revealed how reality was constructed. In so doing, a valuable clue is provided to decipher the Construct, or what may be termed "Divine Symbolism". But without "the Word", we are lost. And what precisely has been "lost"? The word LOST tells you precisely what has been "LOST". What has been lost is a philosophy based on the Letter T and the Sun (SOL). Then there is the little tale of Hump T Dump T to light your way, but were you able to discern it? Reality, the Construct, has within it a concept known as "the Pi Proportion". Without this knowledge, Divine Symbolism would be lost, even as it is integrally interconnected to all things. T's are the SOLTICES and G's are the Equinoxes. 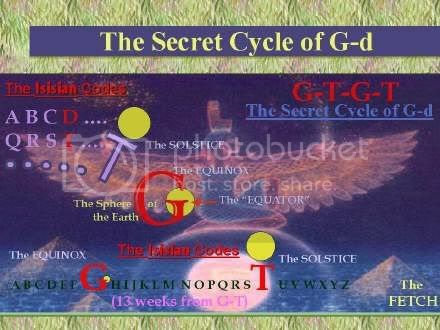 These days, the Solstices and the Equinoxes, wherein the first full day traditionally fall or have their first full day set on the 22 day of March, June, August, and December, are juxtaposed against the 7 letter upon which the Letters G and T hold their respective position at each half of the Alphabet. Divine Symbolism appears ever unerring when we hold the keys, or "the Word". Pi is the Lost Word. The word LOST is a gateway to help you decipher precisely how this is so. The Construct - Divine Symbolism, is far more unerring than those who know not would have you believe. Understand that words are philosophical constructions. Plato's Cratylus provides us with one reference, as does Aristotles "On Interpretation". The degree to which language has been logically crafted date far back into the ether of Western human thought. To presume that a educated elite would not build upon previous systems and modes of thought is naive and we may presume, pretentious as an intellectual argument. English, constructed as it on Occult principles, reveals a layer of words crafted upon words crafted upon archetypes. For instance. The word LISTEN at first glance begs one to "HEAR", and yet HEAR accurately may be broken down to H and EAR, wherein EAR is the organ though which LISTENING is achieved. So we know that HEAR accurately embeds the ORGAN (EAR), and yet adds an H, which is an English cipher for the Greek Letter Pi. Again, if one wishes, such statements can be "proved" in the truest sense of Freemasonic thinking. The 1, the 6, and the 36 are but reductions for Pi or the Sun, depending on how you go about arguing your case. As 1 and 36, we have the Sum of 1:36, which is 666, and in the 1, the 6, and the 36, we may multiply 1*6*36 and arrive still at 666. That H is the 8th Letter and A the first, we may show that the scales of music are 8 in Letter, and thus from 1:8 we have a Pi Proportion, and thus Pi. Divine Symbolism is ever unerring. EN's are "past tenses", so we are left with the word LIST. A LIST may refer to a series of entries on a page, as in a grocery list, but how do you attach a philosophical construction to the word LISTEN such that one is able to grasp its inherent meaning? For this, you might be served to view this word in nautical terms. 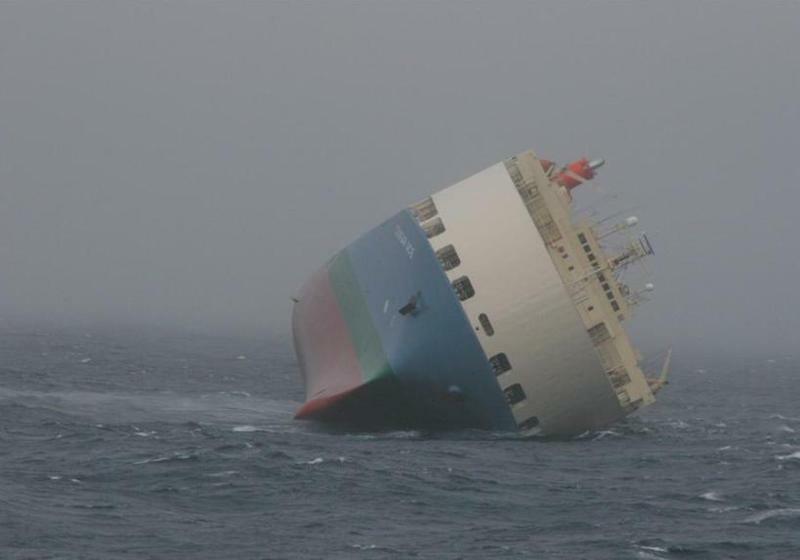 A ship that is "listing" is "tilting to one side". Now compare the observable relationship of one who is LISTENING to that of a ship that is LISTING. When one "lists" in order to "hear", one leans closer to hear the source of the speech. The speech, itself, carries with it presumptions of confidentiality, of secretiveness. One "lists" in order to bring one's EAR closer to as to HEAR. Before you LISTEN, you must make the effort to bring yourself closer to the source, to list, as it were, as a ship on the water. But Divine Symbolism teaches yet a deeper secret, if only you were "LISTENING". In the article, "Roots, Prepositions, and other Occult Constructions in Language", a small but critical hint was provided to enable you to peer deeper into the meaning of the Occult constructions in words. Yet there is a clear layer of "written word" illumination. "Prepositions" means precisely what it says. Parts of words, or the means to deciphering the larger Construct, have been pre-positioned. Forms of pre-positioned phrases include the part of speech known as a "conjunction", as well as pre-fixes and suf-fixes. In this case, we refer back to the listing ship. The operative code here is the term L is T.
When we peer at a listing ship, we not that the beams are tilted to one side. When the ship is aright, we may equate the starboard and port beams as being the Sun as it is measured at the Equinoxes; the Sun is as balanced as measured against the Earth's tilt towards the Sun. But when the ship is LISTING, L is T. We then equate the starboard and port beams as being the Summer and Winter Solstice, wherein the beam that is furthest from the water is the Summer Solstice (L or T) and the beam closest to the water as if the Winter Solstice (L or T) to create the conceptual code of LISTING. This "leaning" to one side to LISTEN reveals PI in an ever so clever letter code when you fuse the construction to the nautical representation. Remember that 1's are 0's and 0's are 1's. If you can grasp the concept of LISTING and LISTENING set against the Construct, you are beginning to hear.